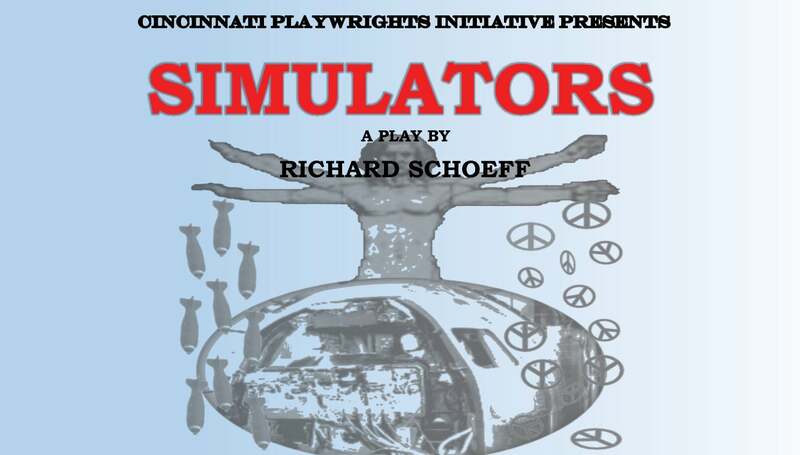 Cincinnati Playwrights Initiative is a grassroots arts organization of local playwrights, directors, actors, and theater supporters devoted to bringing new plays by local playwrights to the Cincinnati stage. Set in an Air Force training facility, Simulators offers an array of military personalities, each in his own way coping with the ambiguities of citizenship in a country engaged simultaneously in a highly questionable war and in the extraordinary achievement of landing a man on the moon. Also caught up in the schizoid situation are two women, one the wife (and mother of two young children) of an airman missing in action, and the other, a Latina immigrant bent on becoming a US citizen.